The Portsmouth Housing Authority’s Court Street workforce housing project in Portsmouth has been awarded some $4.65 million in grants and loans through the Federal Home Loan Bank of Boston’s Affordable Housing Program. • Franklin Savings Bank, $350,000 in support of improvements at Lakes Region Community Developers’ Harvey Heights Phase I project in Ashland, affecting 40 rental units. Proposed improvements include installation of a sprinkler system, upgrading the fire alarm system, window and siding replacement, improved insulation, addition of water-conserving bathroom fixtures and roofing replacement. • Bangor Savings Bank, $439,200 in support of Avesta Housing Development Corp.’s project to rehabilitate and refinance 11 units at a rent-subsidized property in Farmington. Corporation co-sponsor is Saco Housing Development. • Ledyard National Bank, a $729,944 grant and subsidy and a $601,000 loan in support of Twin Pines Housing Trust’s Summer Park Residences Phase 2, which will include 18 rental units for seniors and individuals with disabilities. 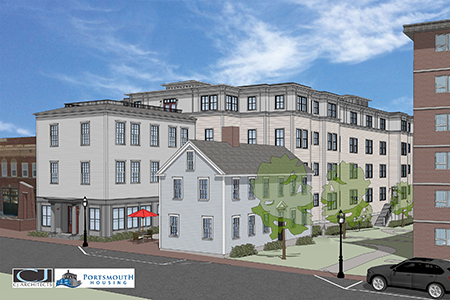 • The Provident Bank, a $999,657 grant and subsidy and $3,650,000 loan in support of the Portsmouth Housing Authority’s Court Street workforce housing project in Portsmouth. The project involves construction of a four-story building with a subsurface parking garage to create 64 low-income rental apartments.